Meet Public Theater’s Artistic Associate Stephanie Ybarra, one of tomorrow’s panelists! Last night’s opening night kick-off party was a success! More importantly, our 7 Will Work For _____ plays have directors! While they’re rehearsing and getting a great show together for Sunday night, we have two panels this week that you should definitely attend. 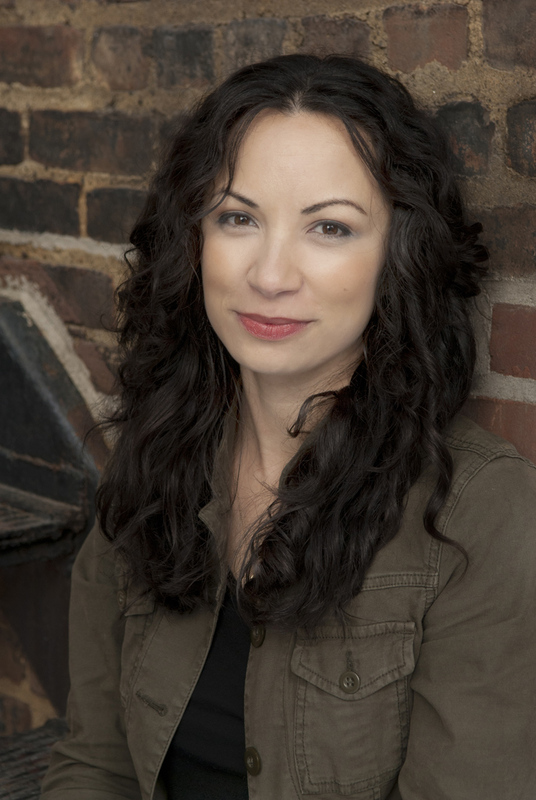 Our popular Agent/Artistic Director/Producer/Union Panel is back – check out our Q&A below with Stephanie Ybarra (Artistic Associate, Public Theater, Former Producing Director, Playwrights Realm), and make sure to attend the panel on Wednesday, April 18 at 7pm at the June Havoc Theater! Other panelists include Peter Dubois (Huntington Theatre Company), Kate Loewald (The Play Company), Alvan Colon Lespier (Pregones Theater), and more! Q: Tell us about a typical day on the job. A: One of my favorite things about being a producer is that there is no such thing as a “typical day.” That said, everything I do revolves around facilitating the creative process, so on any given day you will find me juggling script reading, budget meetings, casting conversations, and putting out fires of varying sizes. Q: What do you think your most ambitious project has been? A: Oof. I don’t tend to take on projects that aren’t ambitious in some way, so this is a hard one. Most recently, I had the pleasure of producing Greg Moss’s freakishly imaginative play Billy Witch, directed by Erik Pearson, for Studio 42. It was easily the biggest show I’ve produced (in terms of the sheer numbers of the cast and creative team) on what was easily the smallest budget I’ve ever worked with. You can imagine the logistical challenges inherent in that equation, right? But in the end we crushed every obstacle before us, and I have to say that getting to put Billy Witchup on its feet three years after I read it was one of the most artistically fulfilling adventures I’ve had in a while (and we even managed to make a little profit). Q: If you could change one thing about your job/theater community what would it be? A: I only get to pick one? I’m kidding (not really). I have a soap box I frequently stand on regarding the bifurcation of the producing responsibility at the top of any organization (this is where we get co-equal managing and artistic directors leading a theater). While I understand where the model comes from, I think it’s outdated and creates an inherent us/them mentality that can be detrimental to the art on stage. Our industry is already starting to understand the need and value of having leaders who speak fluently in the creative tongue as well as business-speak. I’d like to see more of that, please. Q: What was the last production/performance you saw that moved you/inspired you? A: Am I allowed to say Billy Witch – does it count if I produced the show??? Truthfully, I was moved by the bravery of the actors, the deceptively simple design and staging, and the depth of insight in the writing – and our audiences were laughing their faces off. Alright. If we’re talking about the productions that really inspired me – as in the ones that have shaped me as an artist and informed the kind of theater I like to produce – I carry around less than a handful with me where ever I go: Ariane Minouchkine’s Les Éphémères, National Theatre of Scotland’s Black Watch, choreographer Constanza Macras/Dorky Park’s Back to the Present, and Tea Alagic’s production of Tarell McCraney’s The Brothers Size. Have more questions for Stephanie? Make sure to catch her at our Agent/Artistic Director/Producer/Union Panel on Wednesday, April 18th at 7pm at the June Havoc Theatre. Visit our website for more information or check us out on Facebook. Stephanie Ybarra, an avid fan of her hometown San Antonio Spurs basketball team, still owns – and often wears – a pair of cowboy boots. With almost 15 years of experience under her belt (which matches her boots), Stephanie is currently putting her producing skills to work as Artistic Associate at The Public Theater. Previously, she spent three years up to one ear in scripts and the other ear in spreadsheets as Producing Director of The Playwrights Realm, where she produced early career playwrights like Anna Ziegler, Jen Silverman, and Gonzalo Rodriguez Risco. Stephanie made her New York producing debut in 2007 with the original production of Tarell McCraney’s The Brothers Size at the Public Theater’s Under the Radar Festival (directed by Tea Alagic), for which she received the inaugural Producer’s Chair Award from the Foundry Theater. Since then she has produced for Cherry Lane Theater (Mentor Project), HERE Arts Center (Finding Ways, by Snehal Desai, directed by Erik Pearson), Women’s Project (We Play for the Gods, by the 2010-2012 Lab), Ars Nova’s A.N.T Fest (One Night With Rael, by Timothy Charles Brown, directed by Snehal Desai), Studio 42 (Billy Witch by Greg Moss, directed by Erik Pearson) and INTAR (The HPRL Writers Group). 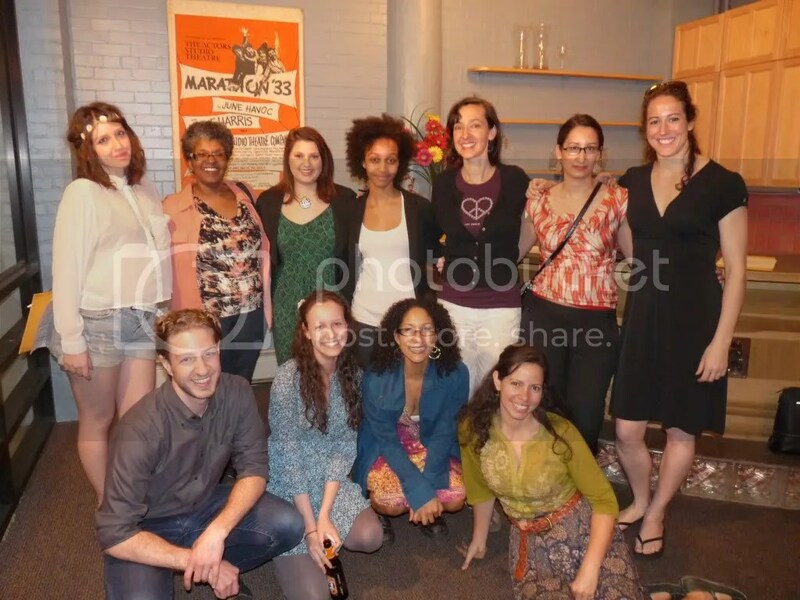 She also serves as Casting Director for Two River Theater Company’s Crossing Borders Festival. Stephanie started in her native Texas, working in Marketing and Development for Dallas Theater Center and Dallas Children’s Theater, and then spent time in Boston serving as Deputy Director of Operations for Citizen Schools, a Boston-based national after school program. Roles such as Associate Managing Director of New Play Production at Yale Repertory Theatre, Executive Producer of Summer Cabaret 2007 and Interim General Manager for Two River Theater Company round out her tri-state credits. Stephanie is a card-carrying member of the LXP Producing Collective, belongs t the Women’s Project 2010-2012 Producer’s Lab, and serves on the board of the Yale Latino Alumni Association. She holds a BFA from Baylor University, an MFA from Yale School of Drama, and a deep belief in the power of the post-it note. ← TONIGHT IS THE NIGHT! And a Q&A with playwright Rehana Lew Mirza!